If you run a hospitality business such as a Hotel, Motel, Guest House, B&B or Vacation Resort then you will know that having a good online presence is essential these days. Many customers will now use the internet to research before placing a booking, they will check websites like Trip Advisor, Facebook and Yelp and look for user reviews before deciding to make a booking. Online reviews are so important in gaining user trust and so is having a good website. 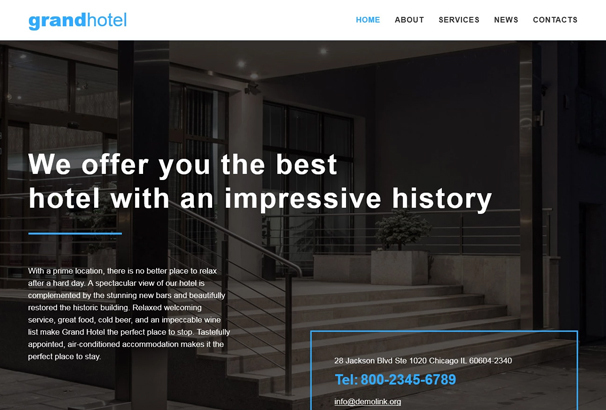 If your hotel has a dated, tired or plain badly designed website, this will count against you as the customer may feel that your hotel is also sub-par. Luckily, in this day and age there are no excuses for poorly designed websites. 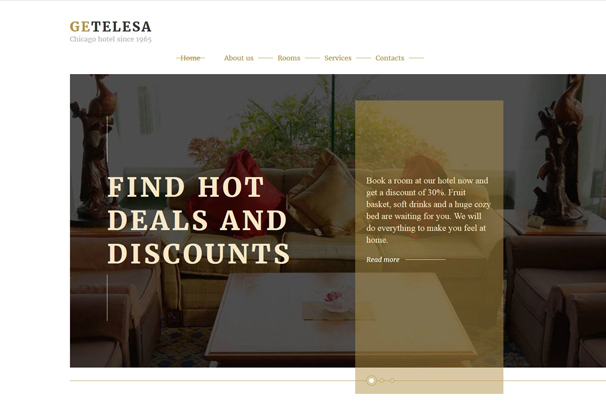 You can download a template which has been specifically designed for hotel websites and customize it to fit your requirements. In this collection we have hand-picked over 50 of the very best examples we could find. These templates are all well designed with modern layouts, they are responsive so will fit any size screen which means they look good on mobiles, tablets and also desktops. 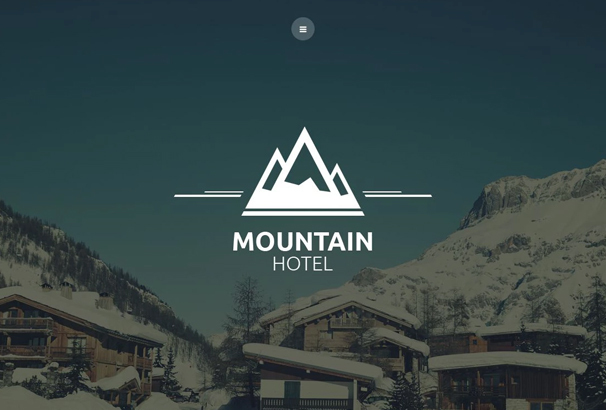 You can download one of these hotel templates and add your own images, logo, tweak the colors and more to fit your business. By choosing to use a pre-made website template you are cutting down on development time and having to hire a development agency to do this work for you. If you have someone in-house who is familiar with HTML and CSS, they can take one of these and use it to build out your site into your CMS of choice – whether that is WordPress, Drupal, Joomla or another system. 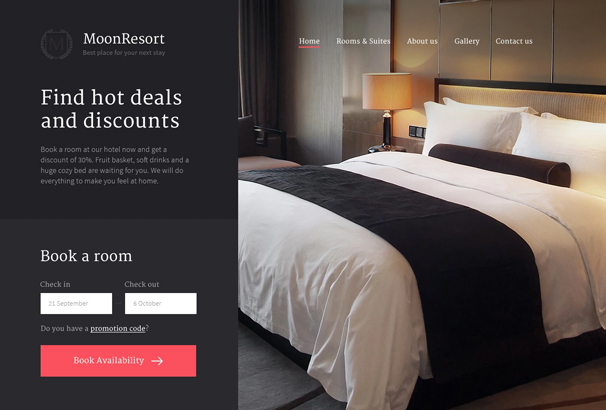 If you need more features, you might also consider taking a look at our Hotel WordPress Themes collection, which will allow you to make a full hotel website very easily. 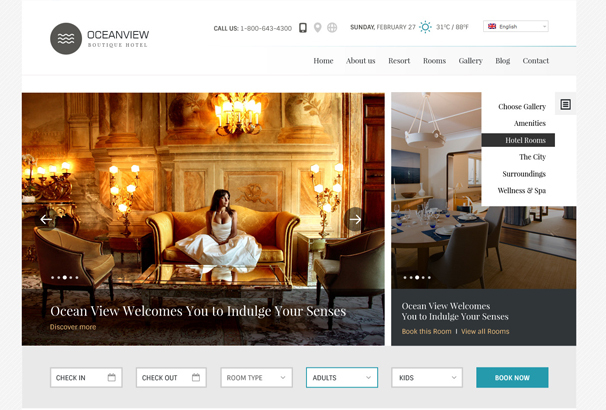 This theme is designed to appeal hoteliers and resorts. It has a stick to the top menu for easy navigation even when the user as scrolled all the way down to the bottom of the page. There are also Contact forms and Booking forms to make it easier to book rooms in your hotel or resort. 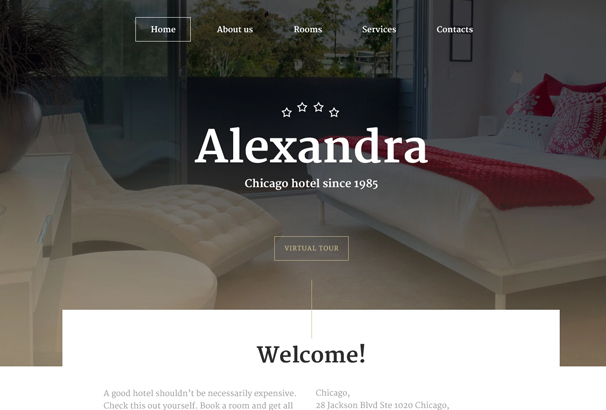 The theme is very well designed and has beautiful image sliders to showcase your rooms. Google Maps is also integrated, so that people can easily find your establishment. This is a highly responsive theme that looks gorgeous across all devices. With great sliders for presenting important information, products etc the theme is well suited for the hotel industry. Google Maps makes it even more interesting, with perfect navigation to get your clients to your destination. The beautiful fonts and customization features makes this theme perfect. 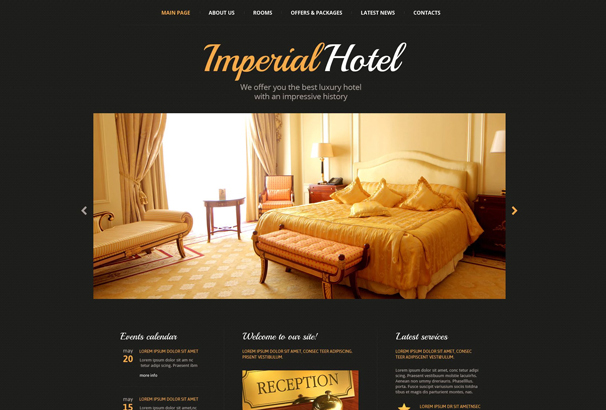 If you want to add a royal touch to your hotels’ online presence then this is the theme for you. With a rich user interface with exceptionally well designed layout, the theme works it magic on any site. There are multiple header and footer layouts and more than 50 HTML ready pages for you to get under way. You also get an appointment manager plug-in, through which your clients can schedule appointments or bookings. 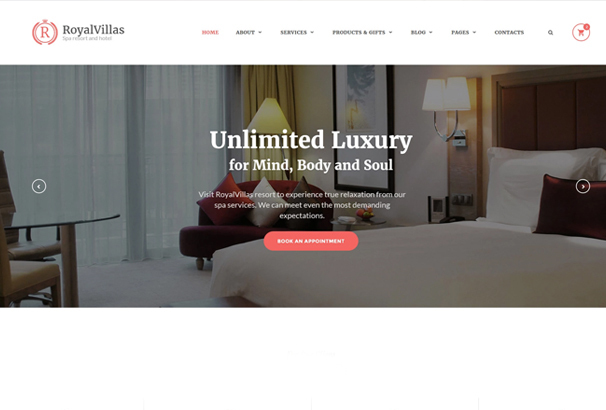 This theme comes with a Parallax background, giving an immersive viewer experience which will make visitors come back to your site now and again. The layout is very well defined, with beautiful fonts and icons. The contact forms, Google Maps and cross browser compatibility make this theme very functional with elegance. This theme is very neatly built with a clean interface. The full screen image slider can be used to highlight your company’s logo written in elegant fonts. The theme uses simple geometric shapes to separate one content area from the others with brilliant use of colours to emphasize the essential texts. Hotel services are presented in a very easy to understand infographic style. The entire design of the site makes it unique in its own way. 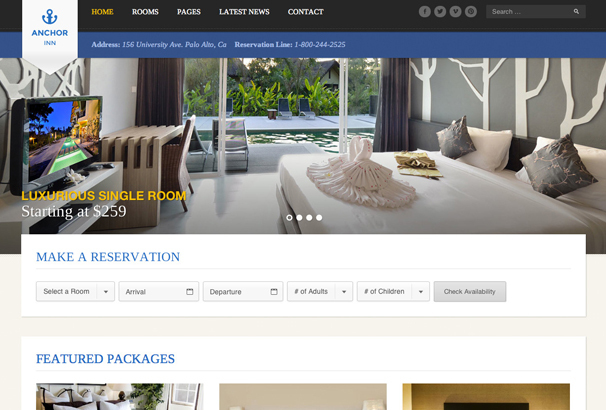 This template is designed in such way that it will attract most number of visitors to your hotel. Incredibly smart usage of images and their placement make it stand out from the rest. There is a blog section which can be displayed on the main page of the site, which not only adds to the charm but also adds up for higher SEO rankings. The contact forms and Google Maps among others add a lot of functionality to the site. This is a highly responsive theme with Parallax background to give an illusion of depth even in 2d images. The stick to the top menu adds to easy navigation and in general, highlights the easy use of the webpage. The contact forms have been kept simple to go with the overall simplicity. The theme is ultra fast and elegantly designed. 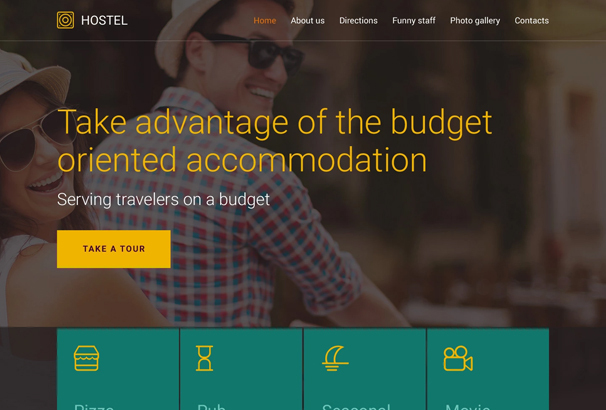 It also includes all functionalities that you would expect from a Hotel themed template, making it a very good option to consider. 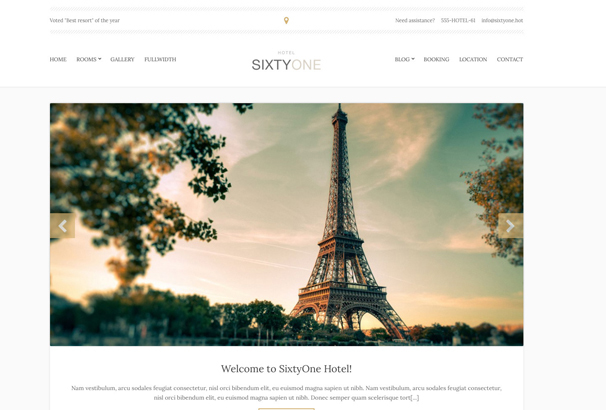 This theme has been designed for the modern hotel, perfect for cities and metropolitan areas. The theme is beautifully designed to appeal to urban folk, and has a very classy appeal. The colour combinations make it seem luxurious with beautiful sliders. 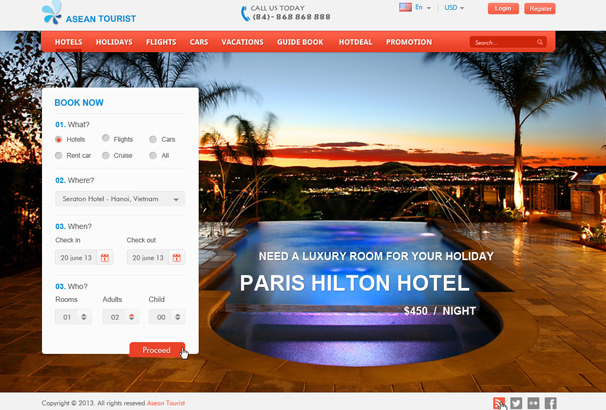 It impresses with its unusually placed buttons, elegant sidebars, and a very intuitive and easy booking form. All the great features are aligned with image oriented design combining functionality with elegance. 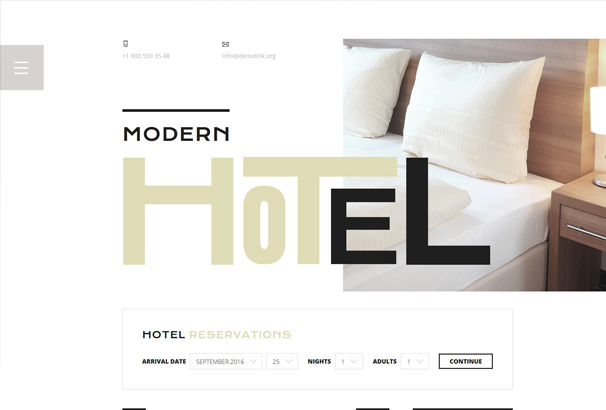 This is an ultra luxurious modern theme for the modern hotel. It has been created using the latest techniques and clean valid coding. The theme is very easy to customize, to make it your own. 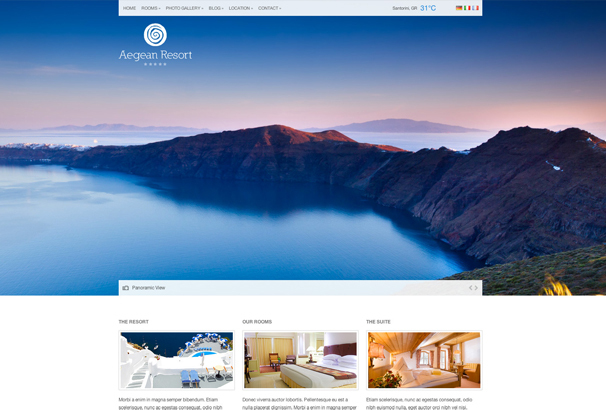 The theme is engaging, easy on the eyes and fully responsive that will adapt to any screen size. The parallax effect contributes a lot to the luxurious feel of the page, with beautiful colour combinations and attractive detailing. This is a very well thought out theme, which takes into consideration everything that you might want it to do and more. This responsive theme is highly customizable to reflect the style of your establishment with great affect. It consists of all the latest trends from a full screen header and ghost buttons to hover and Parallax effects. The layout is spiced up with violet accents that add vibrancy to its looks. A beautiful theme, that you should really take into consideration. 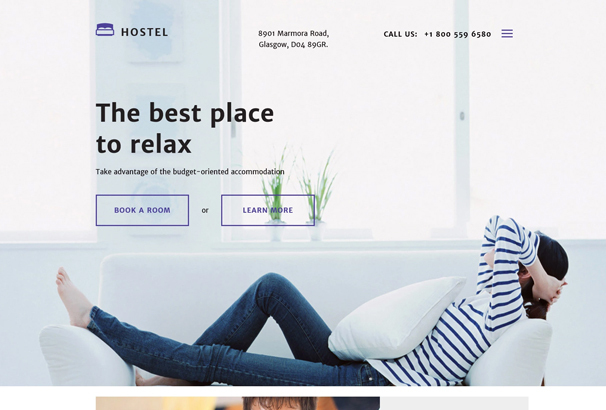 This theme has been designed for the budget hotel with no lack of attractiveness. It is a fully featured solution that comes loaded with everything that you need to run a competitive website. The theme is rich in visuals with beautiful photo galleries and sliders. Your visitors can also take advantage of the simple reservation forms to make quick bookings. It is very fast with all kinds of functionality very efficiently put together. This theme is designed with a lot of preference given to images and their placements. 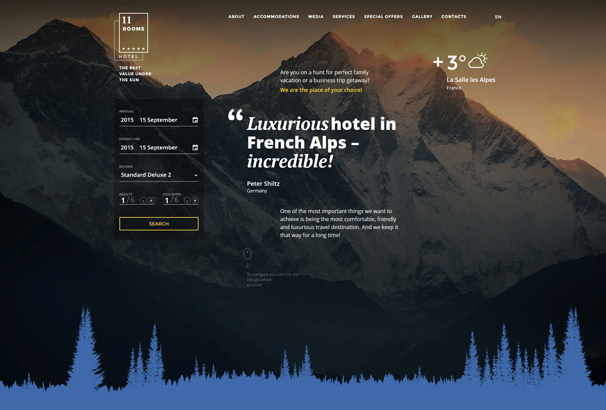 If you have a hotel or resort near a mountain, then this is the perfect theme for you. Take advantage of the beauty that nature as bestowed upon you, and feature it prominently on your web with this fantastic theme. The parallax effect brings to life the breath taking photographs of nature and appeals immensely to your visitors. 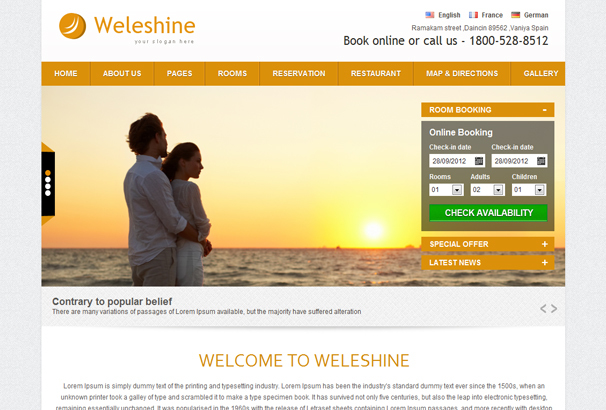 Expect significant rise in bookings with this theme. This template features a clean design with elements of vintage style which brings an air of refinement to your establishment. If you have an older hotel, then this is the makeover that you are looking for. The layout is simple and easy to follow and so is the contact form to get your visitors to get in touch with you. This attractive theme works like a charm and will definitely make your website very attractive. 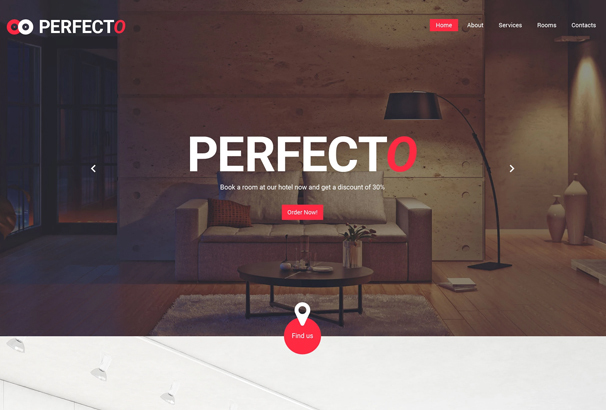 It is a top notch theme loaded with custom features like full width images, ghost buttons with hover effect and many others. 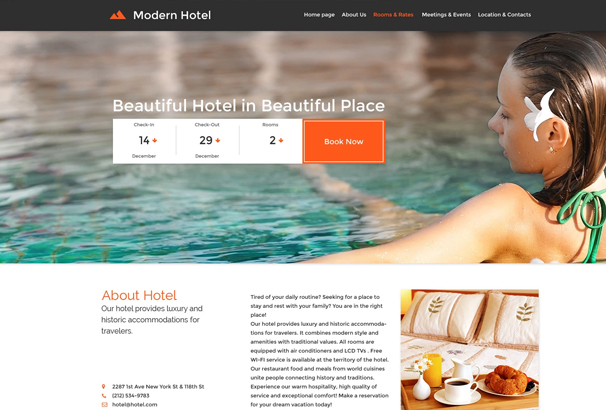 It is a great fit for hotel and holiday websites with striking looks and powerful functionality. 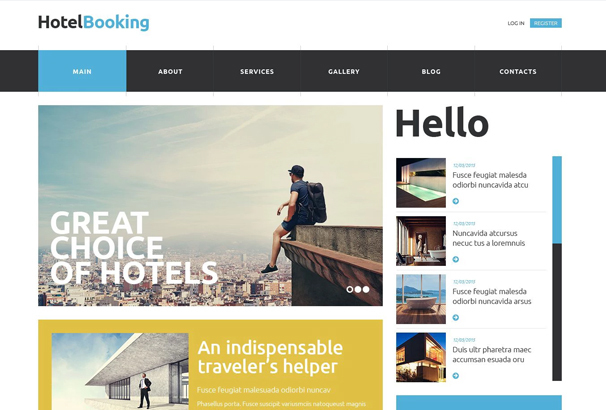 This is a very trendy theme designed for hotel booking sites. It is easy on the eyes and designed to be attractive to people of all ages. The embedded videos will allow visitors to get extra information about hotels making it highly functional for booking purposes. Your top services can be placed on banners so that they are highlighted. This template is highly customizable and works great. This responsive minimalistic themed template offers a cozy atmosphere for your web site. The background has a warm colour and texture which emphasizes a homely feel to your hotel. The customizable features lend a very helping hand in illustrating your content. The lazy load feature of this theme, make your visuals appear in a very interactive manner. This theme has a highly responsive layout with 5 different colour schemes available for you. There are also 13+ page templates for you to choose from and customize. The filterable photo gallery works like a charm, providing a very distinct element to your site. It also comes loaded with reservation and contact forms. The theme is very functional with exceptional speeds. 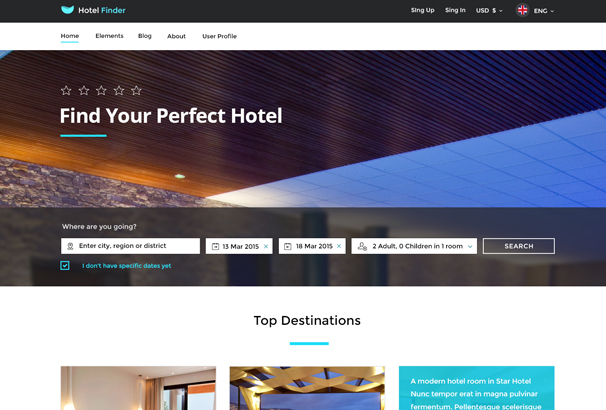 This is an apt theme for resorts and hotels with very detailed design that would work well for most hospitality web sites. It has a highly responsive design with 16 HTML5 pages and 13 PSDs included for your use. The site is based on a skeleton grid and has multiple layouts for you to choose. The theme is feature rich and very flexible with great customization options. 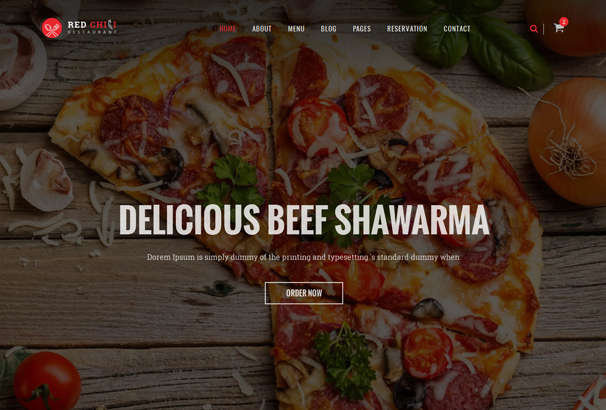 This is an HTML5 template with very clean and efficient coding. 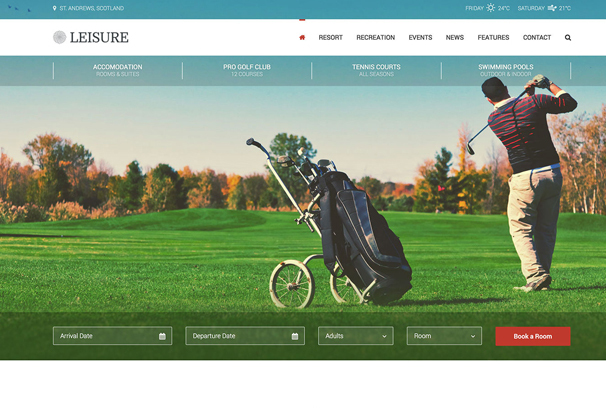 The theme is dedicated for leisure and recreation business like golf clubs, leisure pools and spas etc. The industry standard features can be easily customized offering a high level of flexibility that can cater to a lot of businesses. It is uniquely suited for eye-catching displays with large, beautiful images. This is a highly responsive theme made in HTML5. The theme is feature rich and has attractive designs and colour schemes. The flex slider, included with the theme, serves its purpose with elegance. The pixel perfect design engages the viewer with easy on the eyes visuals. The theme is simple and easy to use and customize. 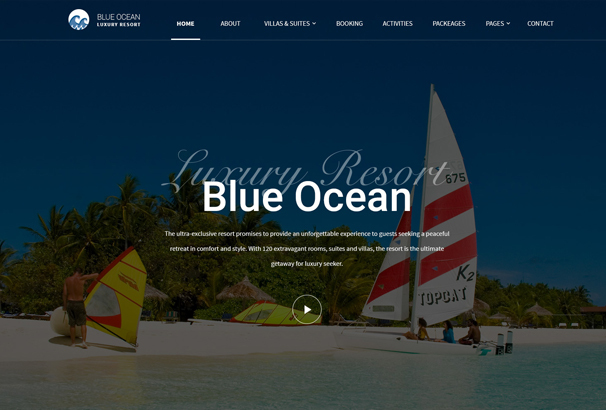 The blue ocean template is perfect for hotels or resorts on the beach. The theme has been designed keeping in mind the beach and its attractiveness for holidayers. The design accentuates the beach feeling with very beautiful icons, fonts and animations that go hand in hand for the niche it has been created for. 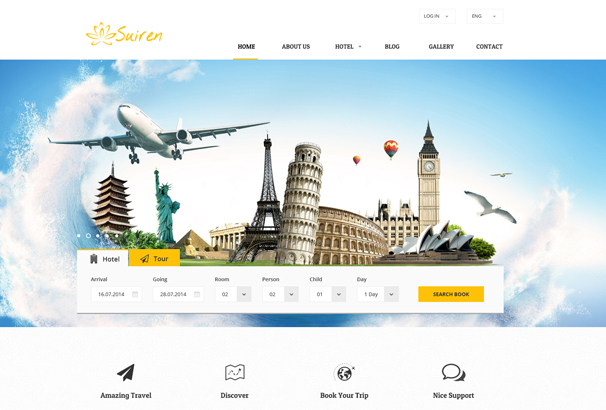 This theme is a clean and complete multipurpose booking template perfect for Online Travel Agencies. 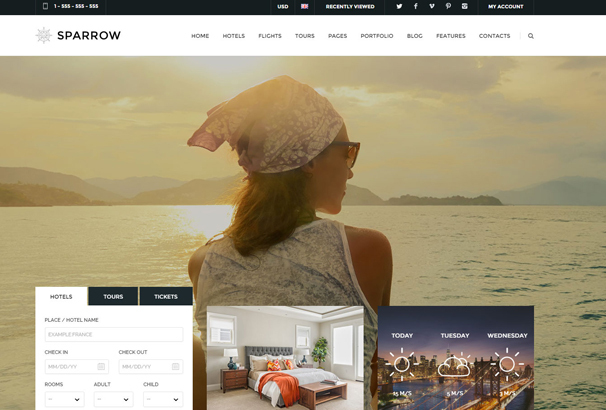 The theme built on HTML5 is highly responsive with parallax slider effect. You also have the immense Revolution slider to make the site much more appealing. You also have the option of 10 different types of homepages, and 3 product list pages. With a very purpose oriented design it has all the features that you may need including flights list, rent a car, payment gateways etc. This template has been built on HTML with a clean and modern design. The customizable features make it highly flexible and can serve multiple purposes. There are different colour schemes that you can experiment with. The template also features a jQuery slider for that beautiful sliding image gallery. The theme is very cleanly coded and has good support from the developers. This is a beautiful theme for hotels and resorts. Completely built on HTML and based on bootstrap, it is a highly responsive theme. There are 12 templates to choose from, which are again highly customizable. It is a well rounded theme. 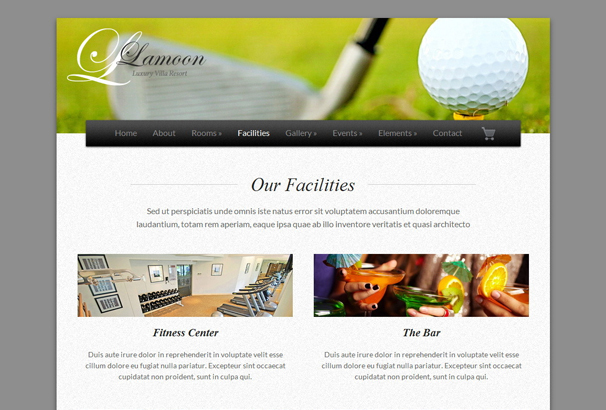 This is a highly responsive theme built on the HTML 5 Boilerplate. The decor is simple yet very attractive. There is a Flickr widget built in, along with other social media buttons. It is highly customizable with unlimited colour schemes. It also includes a PHP contact form, and other functionalities. This is a fully responsive HTML theme with CSS3 which is easy to configure and use. It is very rich in design elements and features. It supports video background and Revolution slider. There are different templates for every page, that you can use and modify as well. The advanced CSS3 animations makes this theme a joy to use. 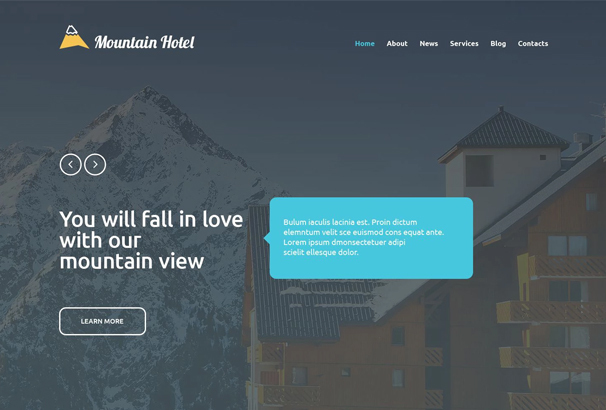 This is a 10 page HTML template perfect for your hotel or agency website. The usability of the site has been kept in focus, with simple navigation and well defined areas for your content. There are 4 colour schemes for you to choose from and begin your customizations. 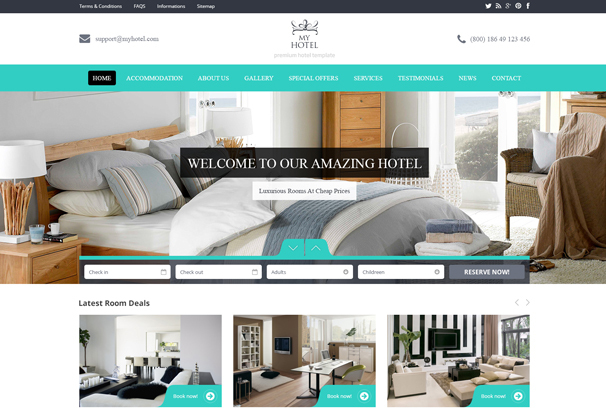 It is a hospitality based HTML theme with high quality, clean coding. It comes ready with multiple language support. There are a few home page variations with different sliders and blog post layouts. The theme is beautifully designed with lots of functionality included. 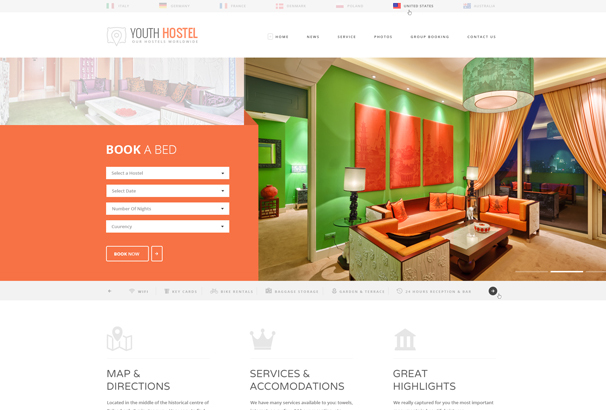 This HTML theme is designed to attract trendy backpackers and students for affordable accommodations. It has been made keeping in mind both chains of hostels and single owners. Depending on the kind of business you have, you can select which kind you functionality you want. It is a very attractive, purpose oriented theme. This highly responsive HTML theme has a grid based layout for the purpose that it is built. The file structure is organized to make the editing process easy and simple for end users. There are common widgets and elements for ease of use. There are search pages, payment gateways and lots more to get your site under way. 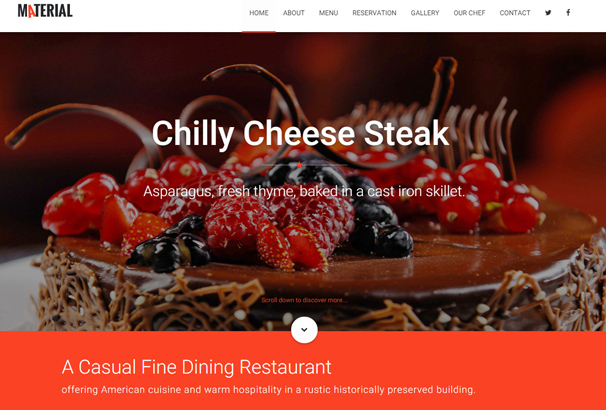 This is a clean, modern HTML template for restaurant and hotels. It is very easy to set up and configure and comes ready with all the features that you would require. This highly responsive theme has 20 demo pages and 18 colour presets. The clean coding ensures minimal fuss, while customizing. 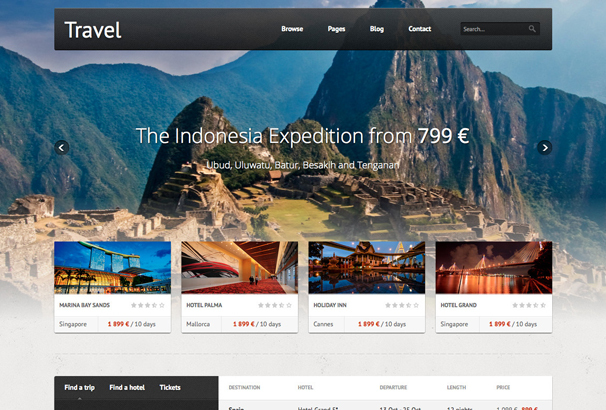 This HTML theme is designed for travel agencies. It has features that incorporate Advanced tour search, flight information, reviews etc. There are tons of colour skins, layout possibilities with unlimited variations. 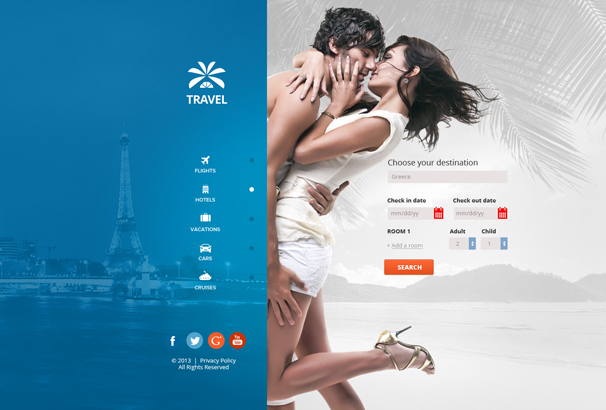 This carefully handcrafted theme is for online travel booking companies. It has a clean and unique design and comes Retina ready. There are 4 Home pages and various layouts for you to indulge in. The excellent customer support is just an icing on the cake. 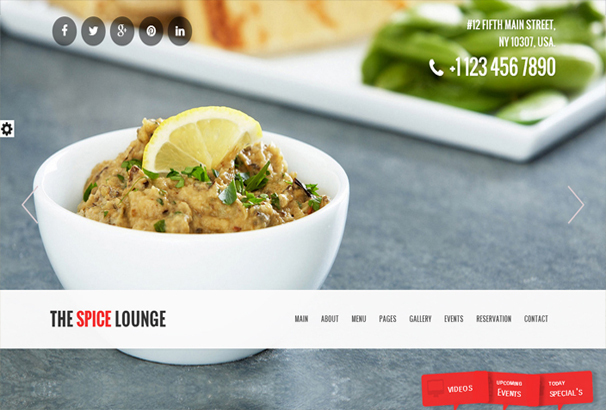 This is a responsive template designed for restaurants and bars. There are 16 different vibrant colours to choose from. The contact and reservation forms can be very handy for the niche that it has been developed for. There is also an awesome video slider. 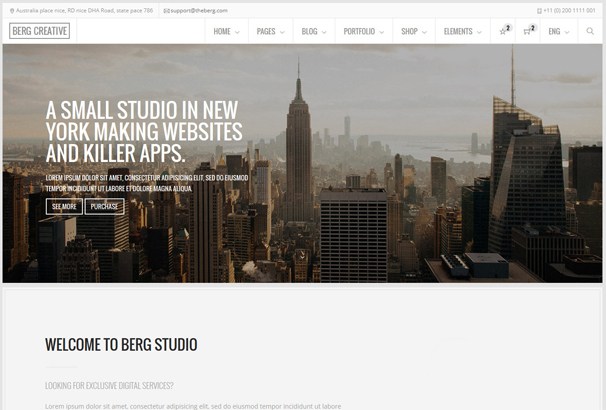 Berg is a powerful multi-purpose and multi page template. The incredibly stunning design will make you fall in love with it. You can start off with more than 45 unique ready to use demos. This feature rich theme is also highly responsive. 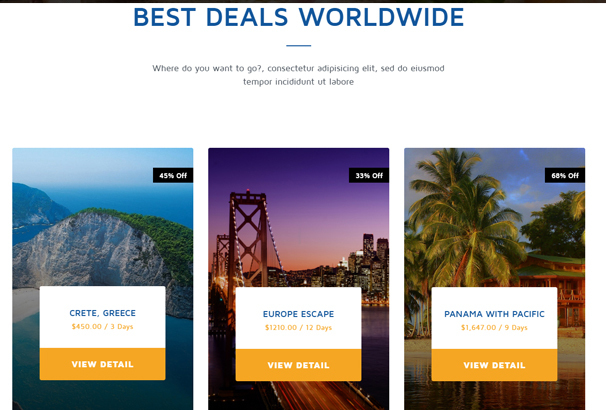 This template has been designed for travel agencies and the like. It has a clean and modern design which is very attractive. The theme has a grid layout with clearly defined boundaries for your content. It is highly customizable with CSS and jQuery animations. 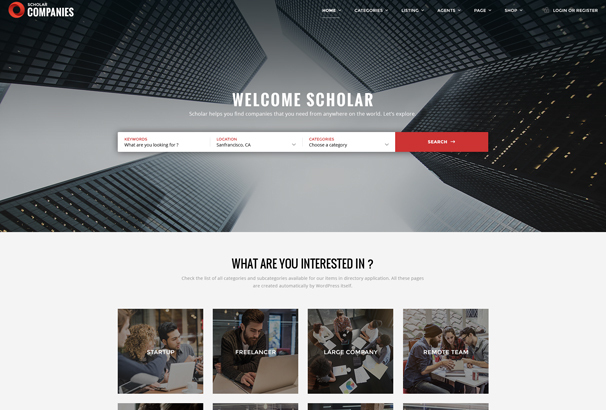 Scholar is a HTML directory template with clean codes and unique style. They have used ‘Bleeding Edge’ technology and the theme is ready with webpack configuration, NPM package JSON and custom gulp file. This premium HTML template is nothing but gorgeous. It is best suited for travel agencies but can also be customized for other travel related niches. It has Adobe Fireworks template with clean, efficient coding and amazing animations. This is a one page/multi page theme based on HTML. 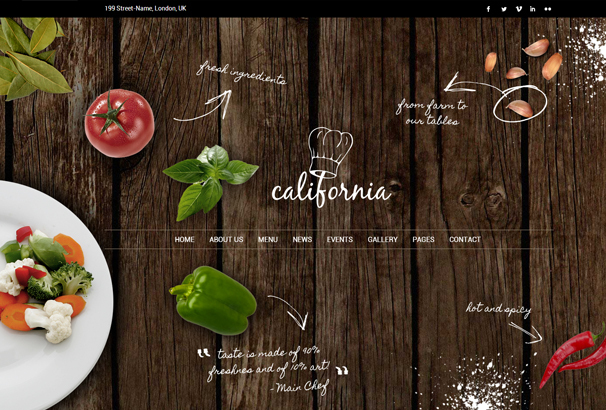 It has 6 menu pages for restaurants and beautiful sliders to show off your restaurant decor. It is very elegantly designed and is sure to attract a lot of people.